Revolutionary R-type box profile, removable shock absorbing endcaps with patented Stabila anti-slip stoppers and two full length powder coated measuring surfaces, two vertical vials and one horizontal vial. 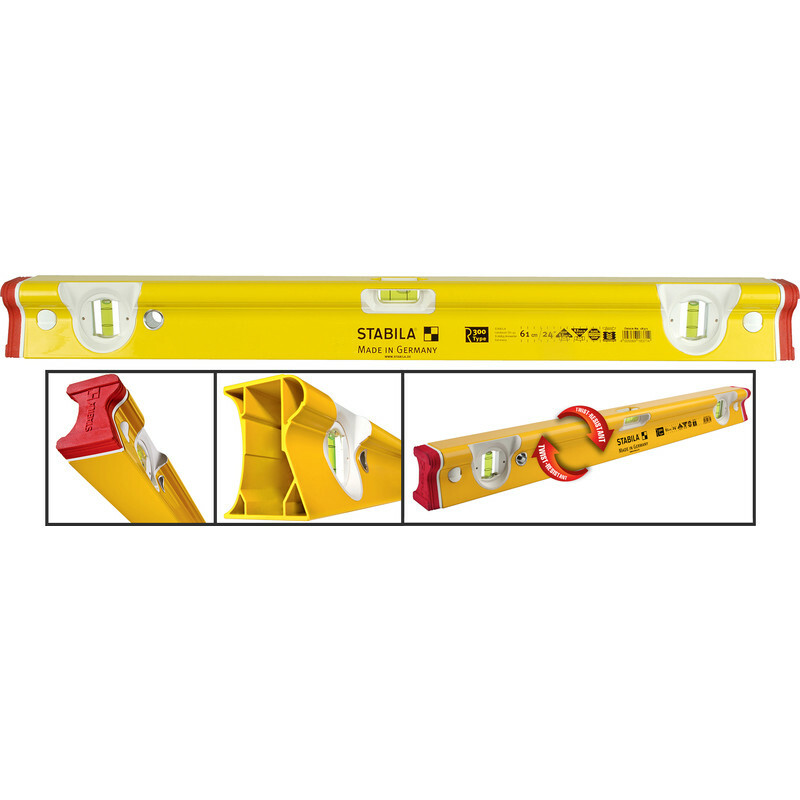 Stabila R-type Spirit Level 1000mm is rated 4.8 out of 5 by 4. Rated 5 out of 5 by Maciej from Quality product Very good quality product. Fast service. Rated 4 out of 5 by Toby37 from Well made Really happy with the level though disappointed it had some scratches already on it where it had obviously been unwrapped befor with a sharp object.